Midfielder Pavandip Singh is the sole Sikh hockey player who made the cut for the under-16 Whitsun Cup in Mannheim, Germany. Pavandip will join the 18-men team for the tournament on May 13-16 as Malaysia embarks on a journey towards the 2020 Junior World Cup. The boys were selected after the recent National Under-16 tournament, and underwent a four-day training in Ipoh during the Azlan Shah Cup. In Mannheim, they will play against Netherlands, German Under-16 and German Under-17, writes Jugjet Singh in his blog posting. Pavandip and two others in the team have seen prior overseas, when they played for 1Mas in the FHE Cup in Perth last year. 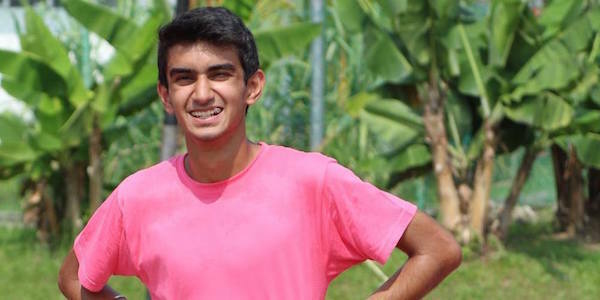 In March, Pavandip, 16, and his sister Kirandeep Kaur, 13, were selected for the National Under-16 Boys’ and Girls’ camps in Ipoh alongside the Azlan Shah Cup on April 6-16. Also selected was Krishanraj Singh from Johor. Next articleKultar’s Mime – Why am I helping to organise this performance?